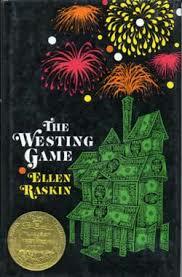 One of J's current favorite books is The Westing Game which she read as part of a school reading group.I asked her what makes this book so special and her short answer was "'cause". It was not very helpful, so I pressed for details. 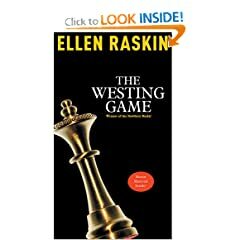 If you like any kind of mystery stories, you might enjoy reading The Westing Game because it has suspense that stays until the surprising end. If you like solving puzzles with clues, this is a book for you ! If you like figuring things out by yourself before they are told (and explained) to you, you will probably like this book. It is believed that Samuel Westing was murdered by one his sixteen heirs. "The Westing Game" is a game that Sam Westing created by giving each pair of heirs a set of words or "clues" that would help them find out the answer to the question "Who killed Sam Westing ?" To say more would be to give away the story. So, do go ahead and read the book yourself. This book seems the right book for my 9yr old. Thanks! Sounds very interesting. Thank you Heartcrossing for writing about this. 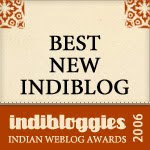 exlporekids, sathish - Thanks, hope the kids enjoy the book ! Intriguing! It will be a while before we come to something like this, given the age of my kids, but just wanted to say that I loved hearing your daughter's opinion of the book and that you pressed for it. :) Very sweet. Sounds like it will appeal to my 9 yr old. Will try and hunt it out here. Indeed intriguing. Thanks, HC! The source link to the image seems interesting too. Will dig in. Found this book today and yes HC, it got a thumbs-up in these parts as well.